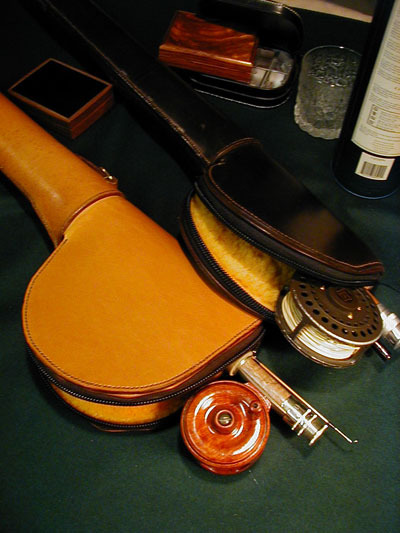 If you plan to travel with your fly rods, you'll need a good case to keep them safe and undamaged. Even the short trip from your home to the local river may cause enough jostling to affect your fishing rod. Since a good fly rod is an investment, you certainly don't want to increase its chances of getting hurt. 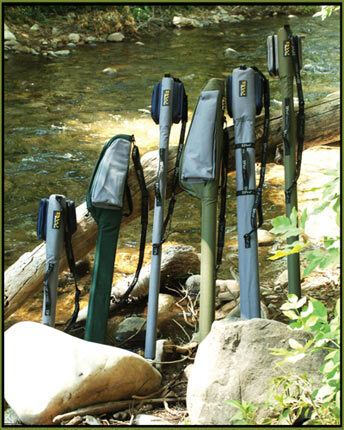 A fly rod case can help protect your equipment and keep it safe. Just as there are many different fly rods out there, you also have many different cases to choose from. You'll want to make your choice according to your budget and the needs you have in regards to your fishing rod. The least expensive choice is a rod bag. These bags are sewn of durable cloth and close with a flap and ties. Also known as rod socks, you can get them in whatever size fits your fly rod. These extremely inexpensive options are less than $10, and are suitable for most fishing rods. If you're looking for a bargain, you can still find some nice protective coverings. For under $40, you can find cases made of nylon with a PVC tube inside to protect the pieces of your rod. A padded reel pouch will protect your fly reel. Be sure and check what length of rod the case can hold. Some are made for 9 foot rods, while others can accommodate larger ones. An adjustable handle is usually included on the case with a comfortable grip. Some also have small zippered pouches attached to hold all sorts of small items. Another choice in this price range includes aluminum cases. They are simply a tube for storing your rod. There is no room for your reel if you want to leave it attached. This style of case is also available in a triangular shape to prevent rolling. For this price, be sure to check for closeouts and other bargains. You can end up with a very nice case for a very small investment. 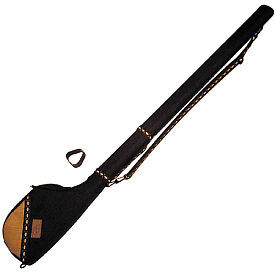 On the more expensive end, you can get a commercially made leather fly rod case with hand stitching. A removable canvas shoulder strap is fully adjustable, and there are two exterior zip pockets that are large enough to carry small fly boxes. Another option in this price range is a wooden case. These tubes are fashioned from hardwoods like maple and oak, and are made in several sizes to fit various rods of different lengths. These nicely made cases retail for between $100 and $250. There are some nice custom fly rod cases available online for less than $60. Simply Google for what you're looking for and you'll come up with some nice options. With a custom case, you'll be able to choose the right length for your rod and whatever color you prefer. Most custom sites guarantee their work, so if there is a problem with workmanship they will repair it at no cost to you. The less expensive cases are covered in nylon fabric for durability and easy cleaning. If you like the idea of a custom case and price is no object, you have quite a selection of nice leather cases to choose from. From small leather covered tubes with brass buckles and foam base inserts to protect your fishing gear, to large handcrafted leather cases decorated with tooled patterns and enough room to store several rods, you are limited only by your budget. These large leather cases feature brass hardware and leather carrying straps. Several are made with or without room for the reel, and are cushioned with 100% wool fleece to protect your equipment. Fly rod cases like these retail for $1,000 and up. As you can see, it is possible to protect your fishing gear with any size budget. There are many choices available, so you can choose the size, the shape, and the materials you like best. These cases will help protect your fly fishing investment, ensuring you many years of profitable and enjoyable fishing.